Jay and the Dragon – Comic for Treak Cliff Cavern | Mair Perkins Ltd.
Alongside the animation I created for the Peak District site, Treak Cliff Cavern, I also illustrated this 11 page comic book. This was part of the 2017 project with the agency inHeritage to produce educational materials for the visitors of the cavern. 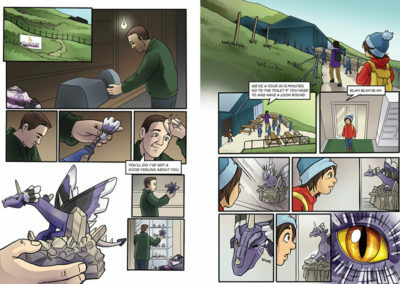 The comic aims to inspire younger visitors' interest in the history, unique geology and craftsmanship at Treak Cliff Cavern. 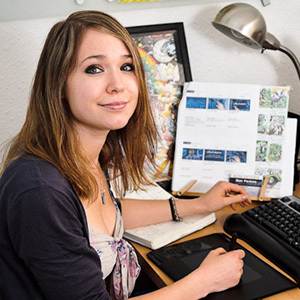 The comic art style is anime and fantasy influenced. The client saw much of my illustration portfolio included this style and found it fitting their comic project. 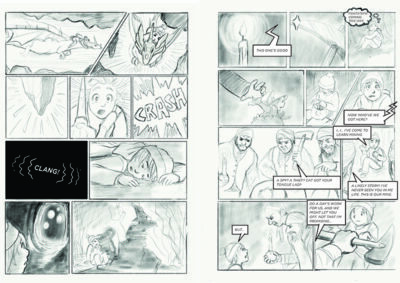 To start the project, inHeritage sent me a comic script and some visual reference material. I then sketched thumbnails for the comic layout. When these were signed off by the client, I began the pencil work using an iPad Pro and Apple pencil. 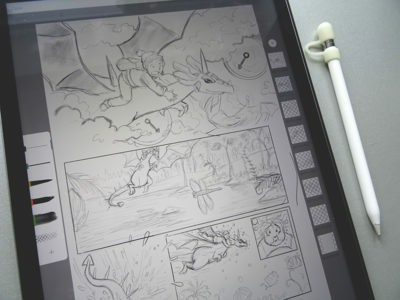 The pages were then also inked the iPad. 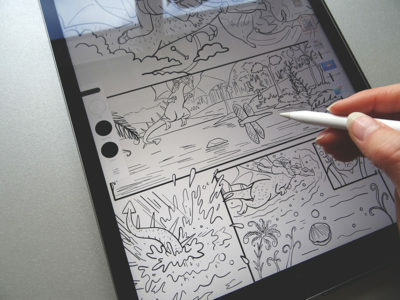 The iPad was used instead of paper to make it easier to make any edits and to speed up the overall process. 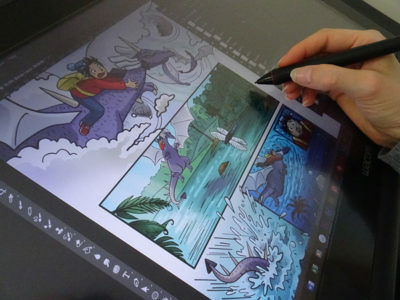 When the line art was signed off, the pages were coloured and shaded in Photoshop using a Wacom Cintiq. The final pages were assembled into a 12 page A5 booklet in Adobe InDesign. 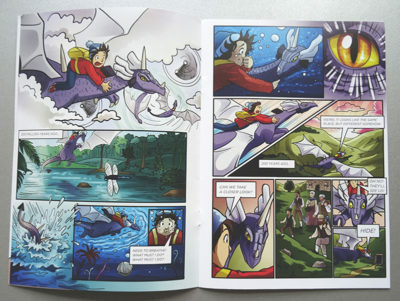 This was sent to print and the comic is now on sale at the visitor's shop at Treak Cliff Cavern. 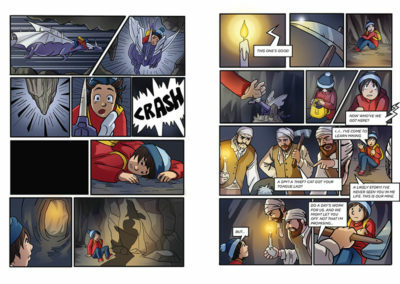 Finished the comic book project I’ve been working on these past few weeks! This video quickly shows the process it went through. 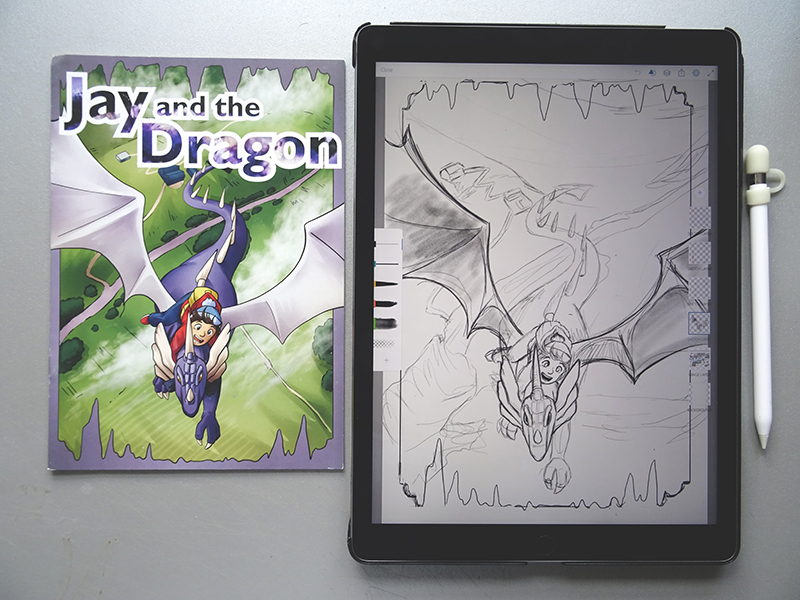 It started with rough layout sketches on the iPad Pro in Adobe Sketch. 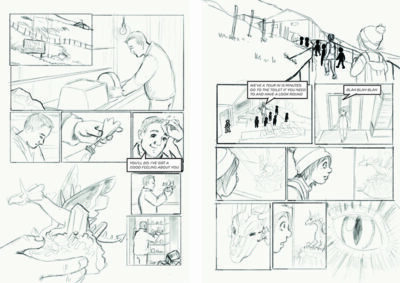 Then when the client approved those, I drew the clean pencil work. After that was signed off I inked and filled in the colour in Adobe Draw. Then added the shading in Photoshop with a Wacom Cintiq. Finally I laid out the pages with text in InDesign to export it all as a PDF.